CD Fountainhead - Murida, Opp CD Countryside Fatorda Salcete, Goa - 403602, Goa, India. 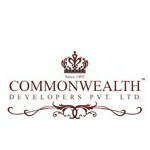 ommonwealth Developers Pvt. Ltd. is a part of renowned KDN Group which was established in 1931.KDN Group has diverse interests in Horticulture, Logistics, Food Processing, Real Estate & Retail.The Flagship Company, Commonwealth Developers Pvt. Ltd. is one of the leading Real Estate Developers in Goa, better known for their projects under the banner of CD Homes.Commonwealth Developers Pvt. Ltd is a member of CREDAI (Confederation of Real Estate Developers Association of India), GOA and member of Indian green building council. The Group has 22 Acre Organic Horticultural Farm at Sangod, Mollem.M/s. Kashinath Damodar Naik is C&F Agent of renowned FMCGs like Britannia, V-Guard and Ferrero.M/s. New Millennium Bakers is a Manufacturing Franchisee of Monginis in Goa, having State-of–Art bakery in Verna which caters to 70 exclusive retail cake outlets throughout Goa. M/s. Rich Bake Retail owns Canapé , a food boutique of international standard selling varieties of Pizzas, Puffs, Savories, Gateaux, Special shape cakes, Pastries, Desserts, Hot & cold beverages in Fatorda, Margao.